In the mood for a documentary about a radical feminist bike collective made up entirely of women of color? You should be. Directed by Janna Sokolowski and Kate Brumbull-LaValle, Ovarian Psycos looks at the Ovarian Psycos Bicycle Brigade, a group of Latina women in East Los Angles who use their monthly bike rides as a launching platform for activism, empowerment, and connection. Ovarian Psycos focuses primarily on three women. Xela de la X is a rapper, single mother, and founding member of the crew. Pulled in a thousand directions, she struggles to protect her daughter from the abuse and injustice she’s suffered. Andi Xoch is an artist and survivor in her own right, deeply affected by the subjugation of women and unapologetically lashing out in any way she can find. 21-year-old Evie is one of the newest Psycos. Enthusiastic and excited to find a place where she belongs, where other people share her ideas and ideals, she tries to balance this new desire with her responsibility to a family that doesn’t understand. 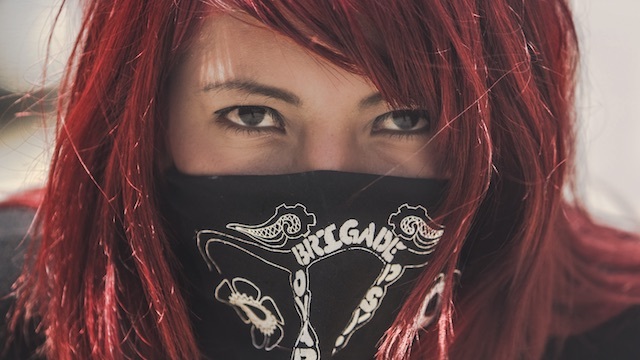 Throughout Ovarian Psycos gender, generational, and cultural clashes propel the group. Employing a punk rock, do-it-yourself aesthetic and approach, these are the direct descendants of third-wave feminism and there are more than a few shades of the Riot Grrl movement. 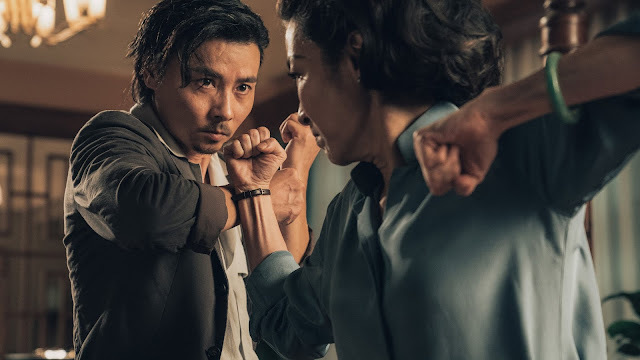 Not content to solely focus on the political angle, the lives and personalities and struggles of the primary players, and the conflicts and relationships between them, drive the film and is where the emotional weight derives. At its core, Ovarian Psycos is about a group of women using a passion for cycling to enact greater change; break cycles of abuse, oppression, and victimization; cope with trauma; carve out a place to belong in a male-dominated realm; and fight back at a society that forces them into a variety pre-assigned roles. Moving, engaging, and vital, the only knock on Ovarian Psycos is the length. Clocking in at a shade over 70 minutes, including the credits, it touches on a number of weighty, interesting, important topics, but leaves many unexplored. At one point the paper gets wind of the Ovarian Psycos and paints them as a gang instead of activists, but the way popular media portrays people of color is never mentioned again. At one point a male bike shop owner chimes in and calls the group sexist for their exclusion of men. (His reaction is eerily similar and equally clueless to the people who say “all lives matter” in response to seeing “black lives matter.”) Again, this introduces rich territory for the film to examine, but the thread never digs beyond reading comments from a few internet trolls. It’s a shame, because there is room to do so much more.